As the web evolves and online users behaviors shift, the must-haves for your company website also change over time. Here’s a list of 5 trends that are important to include in your site to keep pace with the times. More and more companies are finding that the minimalist, “capture and convert” landing page approach is best for their business. If your business does not require a full-blown site with multiple pages, e-commerce etc, consider just employing a landing page. One simple page that gives the customer most everything they need on one screen, at most with a little scrolling. Think of it as an online flyer and a call to action. 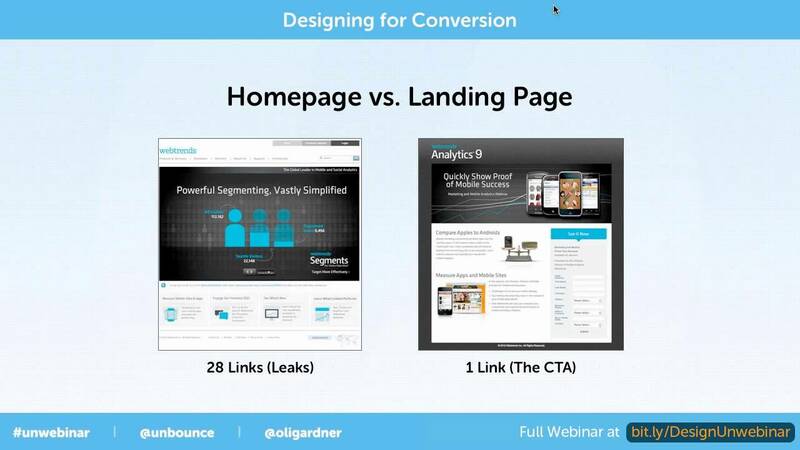 The landing page is a marketing tool specifically created to convert visits to customer contacts and sales. User experience (UX) website design is rooted in the basic tenet of giving the customer what they want, how they want it, whenever and wherever they want it. Make the experience hyper-personalized. This includes such aspects as visual design, information architecture, customer information, interactivity, functionality, usability, accessibility, HCI (human-computer interaction), timeliness. This is how when you walk down the street Starbucks can tell you where there is a nearby location and generate an e-coupon for you. Sure, some of these are more accessible to the big companies that can invest a ton of money in their sites, but many of the basic concepts can be incorporated with relative simplicity. You can learn how to apply UX design through affordable online courses offered by udemy.com, lynda.com and generalassemb.ly. As the name hints, responsive web design is a practice that allows the website to respond to the user’s device, operating system, browser, screen configuration, etc. This is an integral part of a complete UX web design. However, in its essence, it stops short of the user experience web design methodology and simply focuses on the most basic responses. Have you ever watched an old movie on TV that says “modified to fit your screen” and you note that the image is slightly distorted (maybe everything is stretched a bit)? Responsive web design would solve that problem so that regardless of your screen size or orientation, pixel density, etc, the image (site) would be displayed perfectly as intended. One of the hottest trends in the last few years has been the proliferation of social media sign on. For example, you can sign on to many business sites without having to create a username and password for that specific site. You just use your credentials from Facebook, Google, LinkedIn, Twitter, Disqus, etc. There are benefits for both the site visitor and the site. The visitor can quickly and easily gain access to the site’s information and benefits without having to take the time and effort to create a new profile, remember a new username and password. The site learns a ton of information about the visitor from their social profile, while also gaining access to their contacts and much more. If a picture is worth a thousand words, how many is a video worth? I couldn’t tell you, but I can tell you this: short, simple little videos are being used very successfully to get the message across on more websites every day. The reason is that they are cheap and easy to self-produce (or you can have them professionally done), they are much more compelling and engaging than the written word, they can cover a topic in two minutes that it might take 10 to read – and all the while be clearer and more concise. Sales letters, “how to” topics, product demos, testimonials – these are just some of the uses of video on company websites.